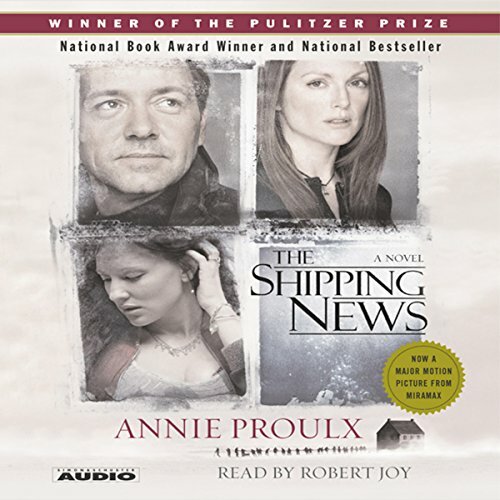 Showing results by narrator "Robert Joy"
Winner of the Pulitzer Prize and the National Book Award, The Shipping News shows why E. Annie Proulx is recognized as a gifted and original writer. When Quoyle, a 36-year-old, third rate newspaperman, learns that his two-timing wife has abandoned him and their two daughters, he returns to his ancestral home on the Newfoundland coast, to rebuild his life. We also recommend Proulx's, Accordion Crimes. When the U.S. Supreme Court determines the fate of genetically engineered beings - whether they're humans or animals - humanity learns that the law is truly a double edged sword. Delisa provides a first glimpse of a problem that does not yet exist, but one day will. we infuse plants with animal DNA, animals with plant DNA. When we start doing it to humans, what do they become?